Thanks for checking out my YouTube Channel everyone! 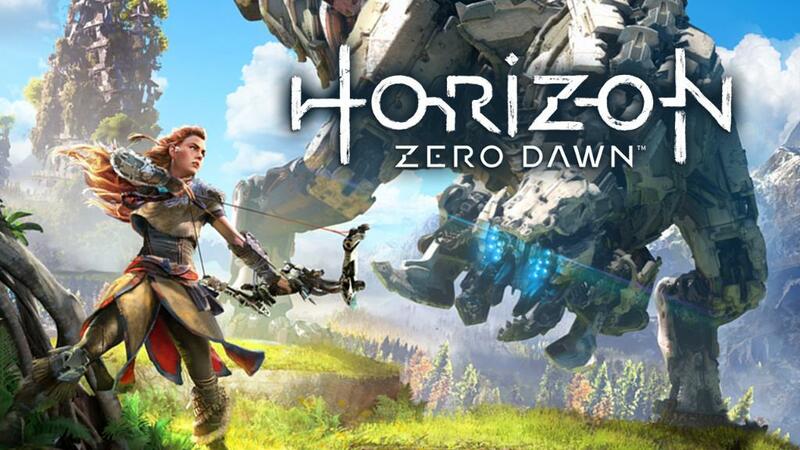 After having a short break from walkthrough videos because I’ve been busy reviewing some of the latest comic books and films recently, I thought I’d check out the new PS4 game Horizon Zero Dawn. 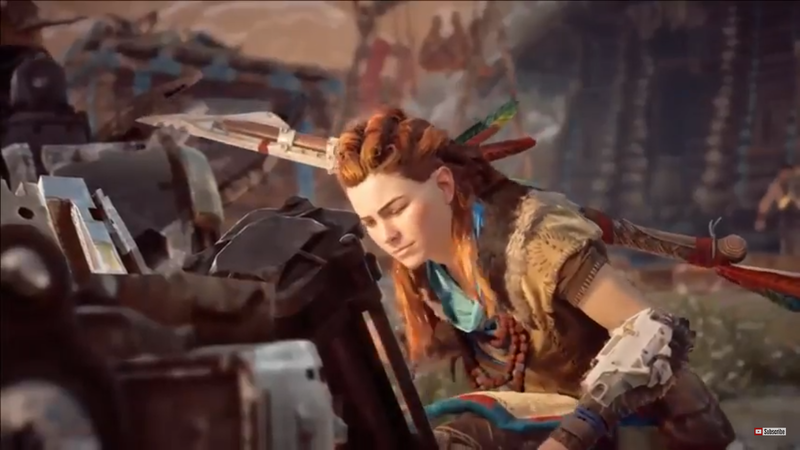 It’s a great game where you play as Aloy, a young female warrior in a lush, post apocalyptic world where nature has reclaimed the ruins of a long forgotten civilization, and pockets of humanity live on in primitive hunter gatherer tribes. Their dominion over this new wilderness has been usurped by the machines – fearsome mechanical creatures of unknown origin! I’m really enjoying playing Horizon Zero Dawn, there’s a vast open world to explore, and I’ve become completely engrossed by the storyline and the characters. Gameplay is also excellent and the controls are easy to master. Overall there’s a great mix of all-out action, stealth, weapons, traps, and skill crafting, and the graphics are amazing! 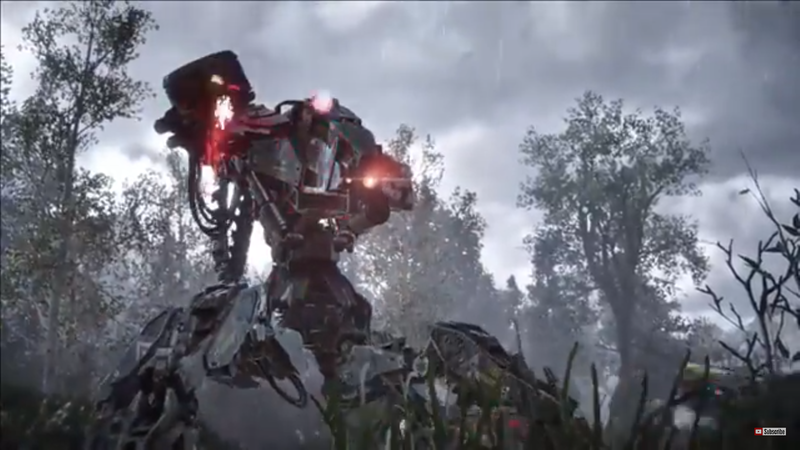 This video I’ve edited together features the a scene where Aloy helps destroy a “Demon”, a fearsome Corruptor machine, along with the Corrupted machines it leads in an attack on the sanctuary of Mother Heart. It’s a really action-packed moment in the early stages of the story, I think it gives you a good sense of what the game is like, and the graphics are stunning. 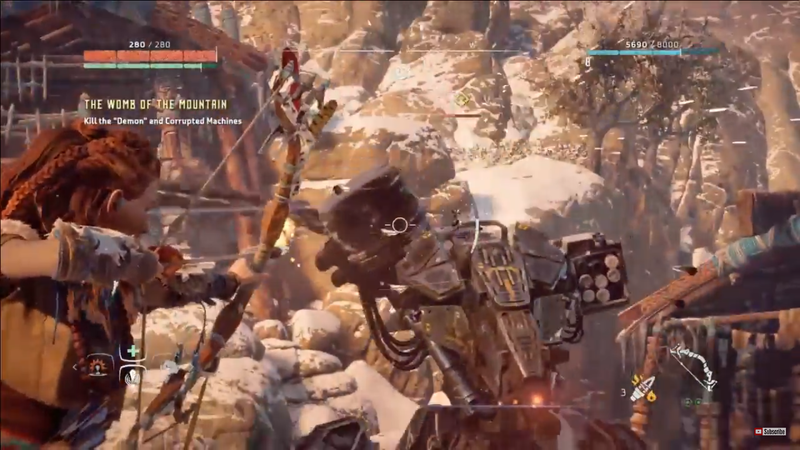 After the battle we also see how Aloy can use the override device from the Corruptor to control some of the machines herself, and even turn one into a trusty steed for her journey. Horizon Zero Dawn is a huge game, so I might not do walkthroughs for it, but I’ll probably post some more gameplay videos on my YouTube Channel as I play through the game. Please feel free to like, share, and subscribe if you enjoy them, and thank you once again for all your amazing support for Sci-Fi Jubilee and my YouTube Channel!